We are no longer maintaining this IndieDB page. Please visit us at zigfrak.com! Zigfrak is a space-based action RPG, featuring missions, exploration, and crafting. With an emphasis on loot and over-the-top items, it’s not a traditional space sim. Enemy ships explode like loot piñatas, spewing forth useful pickups. When the Xenoid threat was discovered, human society was thrust into an era of martial law. Security became top priority, at the cost of individual liberty. In the face of this growing oppression, many left their homeworlds in search of freedom. The Freerunners fled, to explore and settle the new frontier planets. When Enforcers from the homeworld pursued them in a military effort, the Freerunners were forced to defend themselves. This was the beginning of the great human civil war which continues to this day. In hope of defending your settlements against threats, both human and alien, you have enlisted as a pilot with the Freerunners. 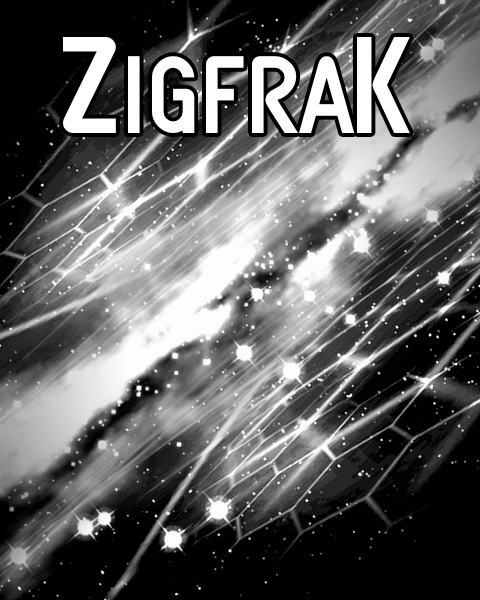 Enjoy Zigfrak and many other great games on Desura. Zigrak Beta 5 and a new game manual are now available for download. We are no longer maintaining this entry on IndieDB. Please visit us at zigfrak.com! Any possibility of bringing brand new contents (esp. new ships and campaigns) someday? it's a possibility, nothing concrete to announce yet though. Do you know when the steam keys for this game will be out? If you bought the game here, a Steam code should now be available on your collection page. There's still no Steam key on my Collection page... is there any update to this? Thanks! Now that Zigfrak has been released on Steam will Desura users be able to get their Steam keys soon? Thanks in advance and great game BTW! I went through comments and didn't find a comment that talks about this, but I've purchased the game on Steam and am running on 64-bit Linux (thanks for the Linux support! ), and I have a small problem. When using the mouse to look around, the mouse pointer is not frozen, so that if you hit the edge of the display, you can no longer look in that direction. I've tried on various display modes and haven't found one that's stopped the mouse while looking around. Is this a known issue, and is there a workaround? Checked main forums and learned that it's known to be finicky with Linux. I will note that I'm using a tiling window manager (hlwm), which might be the cause for these issues. Unlike that thread though, everything does work for me, just that the mouse doesn't get frozen. I'll see if I can find a workaround. Confirmed -- we had to disable cursor locking in Linux, because it causes bizarre behavior when reading the input values. We'll see if this has been fixed in the latest Unity3D, and ping their support again if needed. Great new approach to space shooters. Open world (ilovit), crafting, docking spacecrafts and looting. Boobietrapped loot. This programmer makes you crave for more! Keep on the great work. Cudos! RT @spoonshiro: Zigfrak: If you're in grade school and think dropping four-letter words every 6 seconds makes you look "edgy" and "cool", you'll love it! Zigfrak is not participating in the Summer Sale. You will pay dearly to learn its secrets. Fun fact: We tried some voice acting with the last patch, but it was really bad so we took it out.